zynamics was founded in 2004 by Halvar Flake. It has tools which make software analysis easier. Especially in the field of reverse engineering (needed practically e.g. supporting a system or migrating a legacy system) in information security as well as malware analysis. has products like PDF Dissector, VxClass (classifying malware into various categories), BinDiff etc. TalkBin brings the local business ecosystem closer using mobiles. Customers can communicate to the respective business in real time. Business owners will receive feedback, suggestions and queries from customers in the form of SMS. 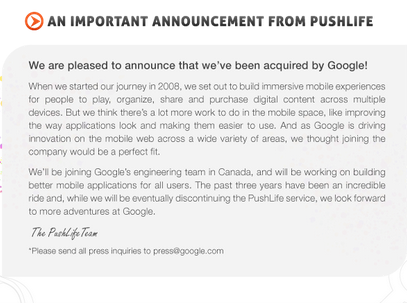 PushLife is also in the mobile space. When PushLife-enabled phone is connected to computer, the plugin starts syncing your phone with iTunes and Windows Media Player. 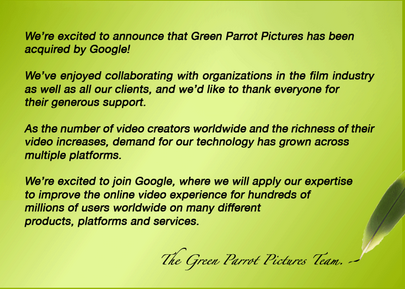 Green Parrot Pictures is a digital video company and motion based editing of video is its niche. Its technology is used widely in film industry. So can we expect enhancements to YouTube..or a totally new YouTube? Next New Networks is a web television company based in New York and launched in 2007. It has 5 million plus subscribers. It is one of the top YouTube content providers (Last year's most-viewed videos came from Next New Networks!). Next New Networks is redefining entertainment by championing the next generation of show creators, helping build their audiences, capabilities, and paths to revenue. BeatThatQuote.com is a British price comparison site specialising in personal finance products launched by John Paleomylites in 2005. Users can find and compare financial services and can leverage cheapest products and services (currently restricted to UK). eBook Technologies mainly focuses on hardware and software distribution of eBooks and eBook readers. Going together they aim to provide first-class reading experience on emerging tablets, e-readers and other portable devices. The company launched its first product in 1998!....Doesn't look like Google is keen in buying this long time hardware, may be patents on their technologies will benefit Google! Google is for sure looking for increasing its horizons with these varied acquisitions. It is definitely increasing its play in mobile space as well as video arena. now you can free list your business in indian free business directory This website contain huge list of b2b companies. Thanks Jeff. The directory looks good. I'll definitely add mine to it.